Most closely resembling the Pro Staff 6.0 95 in appearance, this BLX Six.One Pro Staff 95 is a lighter and faster swinging racquet. 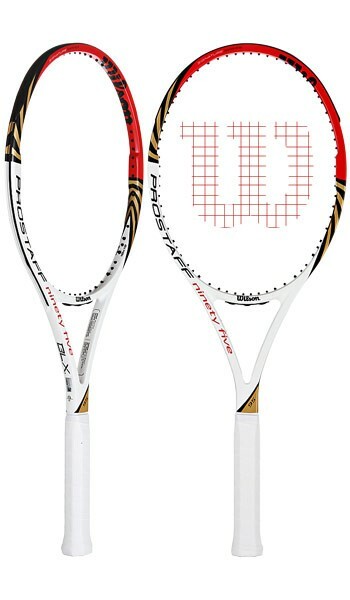 A great fit for today's heavy spin hitting game, this racquet offers exceptional maneuverability for a player's racquet. The open string pattern provides excellent bite making it easy to hit heavy topspin and slice - especially when strung with a monofilament co- polyester string. At net the racquet offers a high level of touch and feel. Maneuverability is impressive making it easy to get the racquet into position for a solid volley. Touch is enhanced via a new technology placing strips of basalt graphite in the handle to better connect the player to the ball. On serve our playtesters found ample spin and solid pace. Strong advanced players will find ample room for weight and balance customization should they desire to bring this one up to the 6.0 95's plus 12-ounce strung weight. All in all, a solid playing racquet that blends touch and feel with maneuverability and spin. Best suited to 4.0+ NTRP players.